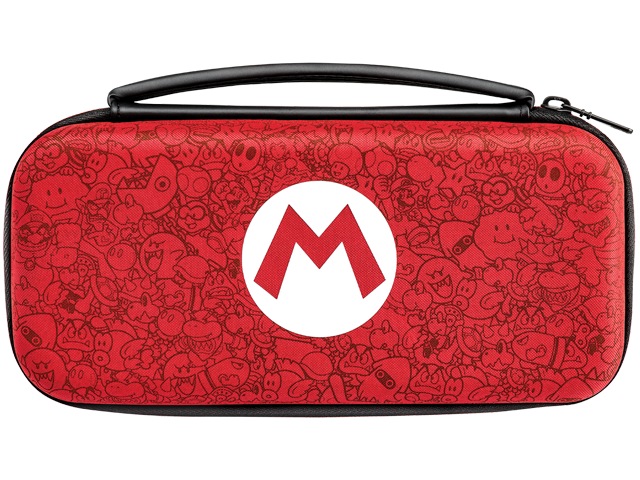 Take everything you need for your Switch experience on the go with the Deluxe Travel Case for Nintendo Switch™! This case stores your console, games and accessories with an innovative "hook and loop" pouch which lets you customize the fit with just a touch! Place the accessories in the pouch, push the pocket around the accessory and it is held securely in place. Whatever you take with you, this case will deliver a custom and secure fit for all your gear! Rigid EVA case stores console, up to 14 games and various accessories. Features adjustable hook and loop pouch for a custom fit for your accessories. Center divider panel with protective screen pad protects your console. Nylon lift strap for safe and easy removal of your console. Nintendo Switch™ console, Joy-Con™ controllers, games, and accessories not included.